I need you to build a pick up, Dakar rally style with hints of Pre Runner, really massive tyres, and an aircraft wing on top. A wing? For lift? Do you want it to fly? No, it’s just to house the swarm of camera drones that need to be launched at the touch of a button. Oh, right, that’s special. Anything else? Yes, it needs an emergency survival moped fitting to the load bed. Oh and a winch, some jerry cans, on board tyre inflater, and lights, lots of lights. An unconventional start to a design and build project certainly, but then again the customer was not exactly conventional either. Mr Tom Ford, known as Wookie for reasons lost in the mists of time (see early episodes of Fifth gear for clues), is and adventurer and ghetto engineer, apparently, with a genuine passion for great engineering and design. Usually he is fairly involved with his projects but in this case he was slightly inconvenienced by having to nip over to the USA to present Top Gear America. Testing times. The L200 part way through build doing a shakedown run. 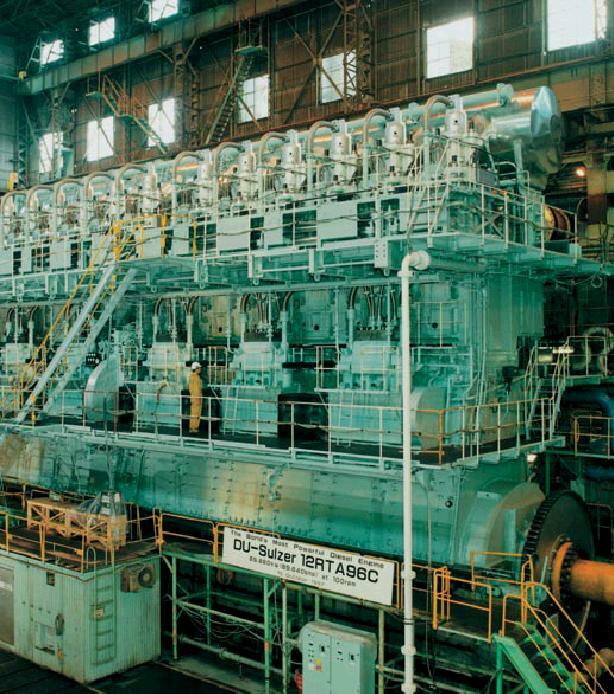 Most sensible engineers would say that this would take a lot longer than the three months we actually had to build it. But I’ve never really got on well with sensible so I leapt at the chance. Clearly I needed the best team I could find, luckily I’ve worked with Dave Bridges and Brad Harrison before, awesome people who do amazing work (ask Dave about the V12 Studebaker) and who will stop at nothing to get the job done, add to this the legendary Paul Cowland helping by wrangling a whole host of suppliers and that gave me the confidence to take it on. Some of the huge pile of new parts, steel tubing and electrics. extra bits of high tensile tube bent in certain complex ways they met the challenge with grace and speed. Mitsubishi UK were absolutely heroic during the build, their enthusiasm matched by practical assistance whenever called upon. One thing that struck me as soon as I started working on the truck was how well the Mitsubishi L200 is put together, this is a working vehicle and everything does it’s job properly, robust, reliable and efficient. This made the project that bit more enjoyable to build. The way I approached this was to start by making it look right, arranging the features in the best way for the filming work it had to do, then engineer it to get round all the hideous compromises that this gave it. One thing became apparent very early on, there was a lot of weight going on it, but worse than that the weight was high up and a lot of it was behind the rear axle line, this is a bit of a nightmare from an engineering point of view as it makes it very unstable. The roll centre was high too, meaning that as you turn into a corner it takes time for the car to react, and when it does finally react there is a tendency for it to wallow, unload the wheels on the inside of the corner and loose traction. With all that weight hanging over the back I needed to think of a way of making it handle, so my mind turned to what other cars also this fundamental design fault, so obviously the Porsche 911 sprung to mind. That particular miss balanced relic corners by putting most of the side force through the rear tyres and just using the front tyres to point the car in the right direction, or a close approximation of it. 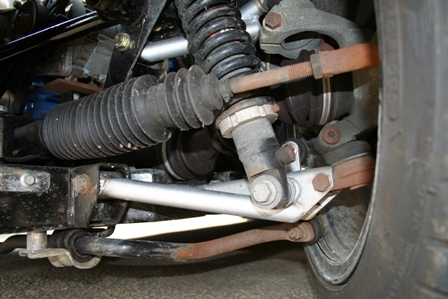 Really, when you analyse how a 911 suspension works, it’s prey similar to steering a wheel barrow backwards…. OK, I can hear the hate building now from the Porc fanciers, might have gone to far with that analogy. Anyway, using that solution on the L200 meant loading up the rear tyres a lot more than the front, changing the front geometry, changing the drop ling angles on the roll bar and running the rear tyres at 50psi with the fronts set to just 35 psi. To get some stability at speed I wanted to increase the front caster angle significantly, and as luck would have it the L200 has adjustable offset bolts on the wishbones, but due to the extreme nature of this truck even on its maximum adjustment I couldn’t quite get enough angle without the wheel fouling the wheel arch a full bump. Last thing I wanted was the tyres ripping the arches of when Wookie lands a massive jump of a dune, so further modification followed. I also needed a rear anti-roll bar (standard L200 doesn’t have or need one) and a stiffer front roll bar. 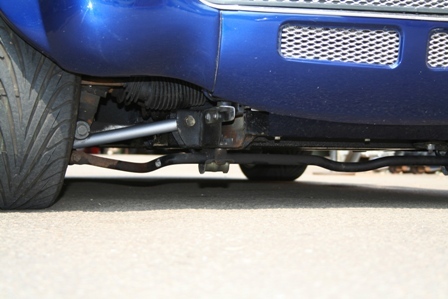 Now, stiffening roll bars actually reduces traction on normal roads as it reduces the wheels ability to react to road irregularities interdependently. Stiffer springs and dampers would be needed, but crucially I needed to increase grip by making the tyre contact patch bigger. Well, any excuse for bigger tyres. Standard on the right, slightly non-standard on the left. get away with 32 inch with a few adjustments, but that wasn’t really big enough for the look Tom wanted, with a bit more modification I could get 35 inch tyres in, this did involve cutting a chunk of bulkhead out, some foot well too, and welding it back together again in a slightly different shape. I also moved the washer bottle from the front left wheel arch to the rear right one and removed most of the ends of the plastic bumper. The challenge with the wing was firstly where to put it. If it went on the roof it would look like one of those roof boxes that caravan owners seem to like, and I don’t think Wooky was going for the happy camper look. My preference was to hang it right out the back, like a Top Fuel drag racer, but then it would completely ruin the ability to get the emergency moped out in a hurry, which misses the point somewhat. So that left the load bed area which is good for several reasons; firstly it looks good, secondly the air flow will be fairly turbulent in this area so the chances of the wing giving us unwanted lift are reduced. To be on the safe side I also angled the wing with its tail up a bit, so if anything it would give a small amount of downforce. Now, I expect you’re wondering why we didn’t just fit it upside down so it definitely gave downforce and not lift, well according to Wooky it’s something to do with aesthetics, meh. And anyway I didn’t want huge downforce there as the rear axle is already loaded heavily enough. So the skills of Stuart (Stu-Art) were employed to take the wing section apart and let in new aluminium to even it up. Not an easy job, and one made more tricky by the need to fit a large compartment into the top of the wing so we could get the drones in. After two week solid work, and a couple of all nighters, Stuart heroically set off from up north at the crack of dawn to bring the wing down to the Bedfordshire workshop. He even brought biscuits, top bloke. Mounting the wing proved a tad tricky, the main spar which is the back bone of the wing runs diagonally, so the mountings had to be further forward on one side, this didn’t look great so we made wide mounting plates that allowed us to use the rear part on one side and the front part on the other. I made a real effort to enhance the Mitsubishi styling, so the cut angles in the wings and around the front roll cage reflect the lines of the original front end, the mirror ally insert next to the headlights emphasises the width gain but also enhances the lines of the stock headlight, there’s a lot more detail in there than you might at first notice. Fitting the remains of the rear edge of the wing back on the car, I then made some 40mm spacers to mount the rest of the wing. This created some interesting spaces and shapes, time to get creative. Having mocked up a rough approximation of what I wanted on the wings I tasked Brad with making it work properly, creating a set of plastic and aluminium inserts and finishing it to a high standard. As luck would have it Brads dad runs a rapid prototyping firm which specialises in making tricky plastic thingys. Both of them worked long hours to create the extensions, they also added a bit of their own ides too which makes it a much more personal task. Brad and me discussing arch angles, as you do. There are also a load of hidden modifications, I moved the intercooler up 5mm so I could make a better winch mount, it now has two batteries linked with a smart control system to run the winch and extra lights when the engine is idling or off. Lots of engineering detail that supports that stunning exterior. This project has been an absolute hoot, I’ve loved it, sure there were a few sleepless nights but anything worth while does that. Here’s to the next mad project. When you fit much bigger tyres the handling and steering is effected in many ways, the steering axis is inclined (king pin inclination) so the new wheels have a greater offset to compensate for the bigger tyres and keep the steering axis in the right place. They are 25mm further out than standard. The lights, split charge, winch and drone flap are wired up with 360 meters of cable with over 70 connectors. The second battery can be linked into the main battery at the press of a button to jump start itself. The battery tray is from a 1989 Jaguar XJ12, it just so happens to fit the Mitsubishi rear wheel arch perfectly. The on board air compressor can pump up all four tyres from flat on the charge from the auxiliary battery without being recharged. The shop that sold the tractor exhaust flap also sells Unimogs and cat food. Ramp over angle improved from 24 to 28 degrees. Tyres increased from 28” to 35” Reinforced off road tyres. Track width extended 50 mm front and rear. Full bespoke external roll cage, FIA race spec, main hoops use extra large 3” CDS high tensile steel tube. Custom fabricated winch bumper with 9500lb pull high power winch with high tensile synthetic rope, full remote control. High strength side steps / rock sliders made from 2” high tensile CDS steel tubing. Modified wing of a Beagle Pup aeroplane mounted on custom aerofoil section tube frame, remote control flap releases camera drones from bespoke drone hangar. Two ‘trawler arm’ camera mounts swing out from the sides for self filming using GoPro Hero cameras. Two spare wheels on quick release rally style drop down cages, these incorporate rear view camera and auxiliary rear lights. All terrain survival Motoped mounted in custom built integrated slide out ramp. Two fuel cans colour matched to body paint. 14 main high intensity LED light units. High lift jack and vehicle recovery system. On board tyre inflater / air compressor. Split charge system with additional heavy duty battery, automatic battery charge control. 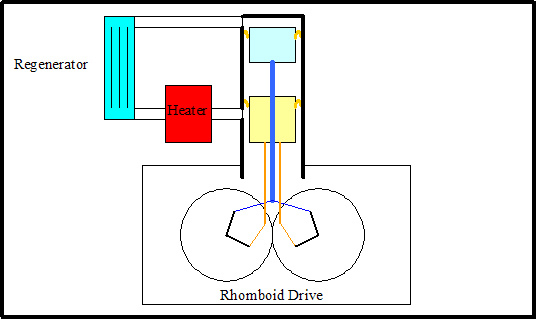 Custom exhaust stack through load bed, high flow system. Full race spec Cobra bucket seats with custom Mitsubishi logos. High strength six point race harnesses. FIA race spec. Special tool store for drone remote control, winch remote, compressed air line, survival tools etc. Custom switch panel for lighting, drone hatch and battery charge control. Stuart Gunn did something remarkable; he set about creating this remarkable car in a remarkable way. He sat down and thought about it, worked through the options, made templates and jigs and then went about welding it all together in a sensible logical well engineered way. 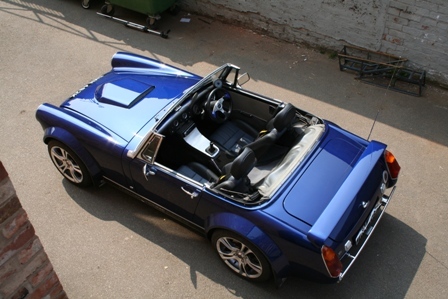 Which is remarkable when the very idea of a V8 4×4 Midget is so splendidly mad. The basic concept was to take the drive train (gearbox, props, diffs and hubs) off a Sierra XR4x4, take a Rover V8 3.5 with a good road tune, add in the MG Midget and blend with a home made chassis and subtle body mods. The result is a beautiful looking car that is easy to drive and blisteringly quick, particularly off the line where the extra traction from the four wheel drive gives it one hell of an edge. Stuart learned his craft over the years with a number of projects, which all started off a couple of decades ago as a yoof with a Morris Oxford with a jacked up rear, a flip front and side exhaust pipes. 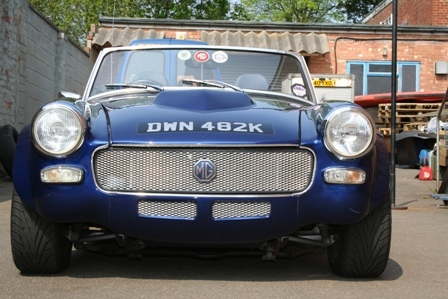 By trade Stuart is a panel beater, which shows in the skill with which the steel wheel arches are seamlessly blended in to the MG body. 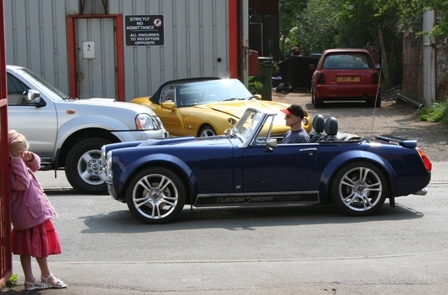 The build started with his mildly tuned Midget that he had driven round for a year or two. He then measured everything up and made suitable jigs for the wishbones and chassis out of steel box, so that the final result would be spot on and match on both sides. The chassis uses the best bits of the original MG tub, added to a box section lower chassis and tubular upper rails which hold the top wishbones and coil over dampers on. The 4×4 system uses the Sierra front diff and so Stuart created his own unique front cross member with the diff mounting on the right hand side (on the Sierra it mounts onto the sump). Wishbone jigs held the bush carriers in the correct place, then steel tube was cut and welded in place to join them together, that way Stuart knew the geometry would be as predicted and both sides match. The suspension uprights have the struts removed and a ball joint fitted in there place, these parts came from the kit car manufacturer, MK Engineering. Being a tad narrower than a Sierra, the drive shafts had to be shortened, but not by too much, only 70mm. 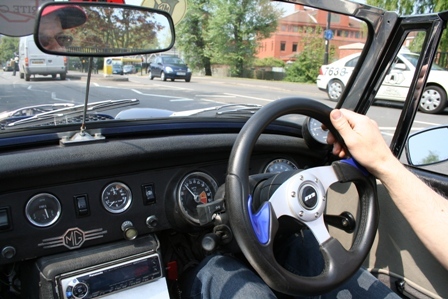 Springing comes from coil over AVOs all round, with adjustable spring seats and damping. The first iteration saw 150lb springs on the rear but these ended up coil bound, now it has 225s which are spot on. Damping was adjusted to give good ride quality and handling, but also to stops the mud flaps dragging when going over speed bumps. Wing and arches hint at the potential within. Stopping the car is taken care of by Sierra based disk brakes with EBC Green stuff pads. As yet there is no servo, this is one possible mod for the future, but for now the braking is still excellent as long as you press the pedal firmly. When it came to fiddling with the engine, Stuart had a chat with Dave Ellis of DJE fame. Stuart is working on a tight budget and isn’t after stupid horse power figures so a package was assembled to give the 3.5 litre about 200bhp and great drivability. It has a pair of 4.6 heads which have bigger ports and valves than the old 3.5 units and are not too expensive, a DJE 210 cam for good road manners, a Webber 500 4 barrel carb and Rover electronic ignition coupled to an Accel Super Coil. The carb breathes through a filter with a cleaver mod, because of the lack of space the top of the filter housing is the bonnet, a flexible mounting lets the filter seat even when the engine twists under acceleration. Though fuel injection is on the cards for a future mod. Stuart made his own exhaust manifolds from tube and then Custom Chrome Racing very kindly chromed them and made the rest of the system. Stuart has known CCR for many years and so was allowed to use their workshop to do the fiddly bits. In fact CCR even provided the steel for the chassis and wishbones as well as making the oil catch tank. The resulting exhaust has that wonderful V8 burble but is not intrusively loud, quite subtle in fact, in keeping with the theme of the car. And all with just one small CCR muffler on each side. Various wheel arches were tried by Stuart, including ones off a Transit double axle, but in the end he again made his own which complement the understated look perfectly. To make these he took a piece of small steel tube and bent it round the tyre, then he flattened the tube and braced it to the body with more bits of tube. This made a perfectly formed skeleton which he could then make up some cardboard arch templates and offer them up until he got the look that he wanted. Once satisfied with the templates he made steel arches and welded them on to the skeleton. The result is well made and has a factory quality feel to it as well as looking the dogs danglies. 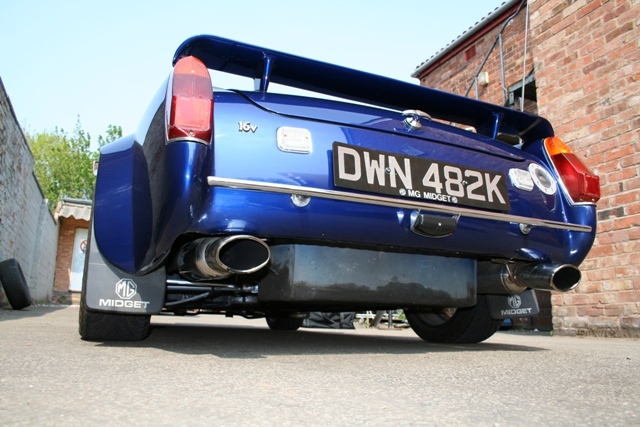 The body was finished off by removing the bumpers, fitting a natty small bumper at the rear, adding a boot wing, a small bonnet bulge and smothering the thing an a gorgeous Rover Caribbean Blue paint job. When designing the car Stuart wanted it to be usable every day, and on a short trip round town the car proved that this goal has been well and truly achieved. The suspension soaks up the bumps well and copes with speed bumps effortlessly. Once out on the open road the thrust from the engine is never ending, pushing you into the seat and putting a grin on your face. The Toyo Proxes tyres grip well and corners are dealt with easily. A wonderful car to drive in any conditions. At low speeds the steering is a little heavy, using a power steering rack to get the 2.8 turns lock to lock, but as yet without the power steering bit fitted due to the lack of space in the engine bay. Electric PAS is a possibility. 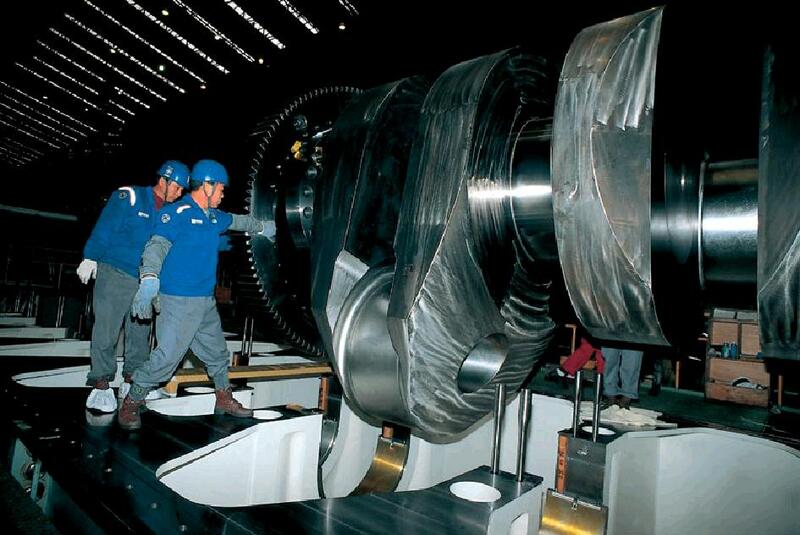 But as the speed builds it becomes lighter and very communicative. A lot going on in a small place, front suspension may recieve PAS later. All in all, this is a simply splendid car, well thought out and professionally built. Stuart has plenty of ideas for future tweaks but the basics are very well sorted out. The car would be marvellous at hillclimbes and sprints and Stuart is toying with the idea of doing a few competitions in the coming year, I for one would love to see it out there. As a footnote, how different would history be if BL had put something like this into production back in 1972…. Graham and Nigel at Custom Chrome. Many friends, family and Midget And Sprite Club members for their support and encouragement. Rover V8, 3.5l, lightened and balanced flywheel, Vitesse pistons, 4.6 heads, DJE 210 cam, Webber 500 4 barrel, Rover Lucas ignition and Accel coil. Approx 200bhp @ 5500rpm. Owner fabricated 4-1 tube exhaust manifolds with Custom Chrome Racing system. Owner fabricated spine type chassis. Owner fabricated double wishbones all round. Fully adjustable. Ford Sierra Xr4x4 gearbox (type 9), props, diffs, hubs, steering and brakes. Narrowed by 70mm each side. Toyo 195/45-16 Proxes tyres on Ace alloys. Avo coil over adjustable dampers with adjustable spring seats all round.